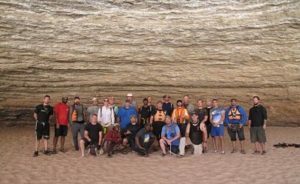 Wounded Warriors join Arizona Raft Adventures for a Grand Canyon private group charter. Arizona Raft Adventures has experience and will partner to help disability non-profit organizations provide Grand Canyon rafting access. If you are a representative from a non-profit and want to put together a trip, it is possible. Or, maybe you face a challenge that makes wilderness travel difficult. AzRA has the willingness, experience and capability to execute a variety of solutions. But first, we must address the facts. The physical demanding nature of the trip and remote location makes it more difficult for someone who has a disability. The environmental challenges range from extreme heat exposure to being cold and wet. Daily luxuries like running water and flushing toilets are non-existent. In addition, medical care is far away. Your abilities, medical complications and what type of accommodations you need all have to be considered. 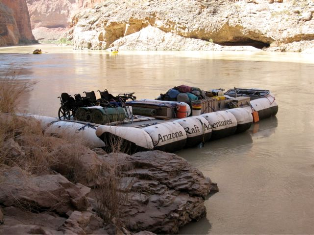 Nevertheless, Arizona Raft Adventures continues to push the limits when it comes to taking guests with disabilities on Grand Canyon raft adventures. For guests with specific needs and more demanding challenges, consider joining an adventure sponsored by an existing organization that specializes in adaptive recreation adventure. There are many organizations that provide wilderness access to persons with disabilities. Furthermore, we recommend you explore grant opportunities through the Grand Canyon Fund. In fact, the Grand Canyon River Outfitters Association boasts an access program offering resources for special population groups. In addition, AzRA has combined efforts with Grand Canyon Youth and Global Explorers taking participants in “Leading the Way.” Leading the Way is a program for young adults with visual impairments. Their trip was featured on CBS. Photo Courtesy of Foundation for Blind Children. It is especially relevant to note, many trips are collaborations of more than one outfitter. Two raft outfitters can share the cost, equipment, resources, and guides on a raft trip. Another example of this type of trip is one that we did with another Grand Canyon raft outfitter and Wilderness Inquiries. Wilderness Inquiries creates and executes inclusive outdoor adventure travel opportunities. The guests had challenges such as visual impairment, polio, partial paralysis, paraplegia and quadriplegia. Also, in June of 2015, the Foundation for Blind Children (FBC) went with AzRA on a raft adventure. FBC is a non-profit organization that provides services and education for the blind and visually impaired. Their excursion was five days of rafting and exploring the Colorado River in Grand Canyon, five nights of camping, and ended with a 7.5 mile hike out of the Canyon on the Bright Angel Trail. 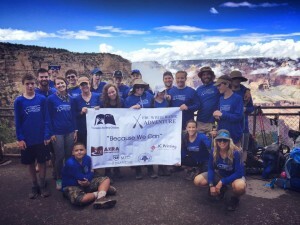 There are three very popular organizations that focus on disabled U.S. Veterans, reserve and active duty military personnel: The Grand Canyon Warriors, No Barriers and Team River Runner. These disability non-profit organizations provide Grand Canyon rafting access frequently. Grand Canyon Warriors is a group of Marines wounded in combat. They are sponsored by Grand Canyon River Runners Association (GCRRA). In 2015, they chose our full canyon motor adventure. The Warriors spent ten days rafting 225 river miles and nine nights camping. Each day, the Marines encouraged and supported each other through obstacles and new discoveries. They loaded and unloaded the rafts. They paddled in the specially requested paddle raft. The Warriors hiked on the Canyon’s many scenic trails. Support this organization for future trips. The Grand Canyon River Runners Association (GCRRA) proudly donates 100% of the money given to the Grand Canyon Warriors. The Veteran Wilderness Expedition sponsored by No Barriers USA and Raytheon consisted of a team of ten wounded Army and Air Force veterans. The group embarked on the Upper Canyon Classic adventure. They rafted 89 river miles in six days, and on the seventh day hiked out of the canyon on Bright Angel Trail. For many, the hike out was the biggest challenge. The No Barriers Warriors conquered it with determination and enthusiasm. Team River Runner consists of disabled U.S. veterans. Some guests are in wheel chairs, some are amputees, and others suffer from mental illness. We make many accommodations for guests with mobility challenges. Arizona Raft Adventures has access to some equipment that can ease those challenges. Many disability non-profit organizations provide Grand Canyon rafting access to persons with varying abilities. However, keep in mind, a Grand Canyon raft adventure is challenging for able-bodied adventurers, let alone those with physical or mental challenges. 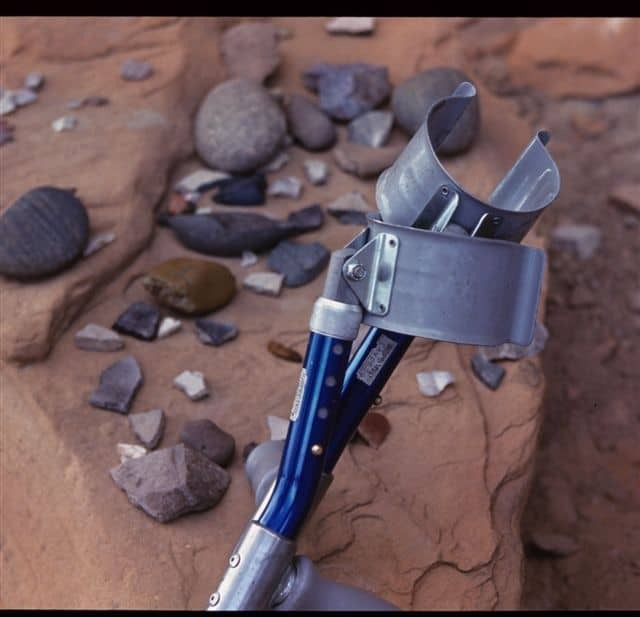 It takes a lot of preparation and planning to accommodate a person with a challenging disability in the wilderness. AzRA and the National Park Service’s (NPS) have a goal “to develop and coordinate a system-wide comprehensive approach to achieving the highest level of accessibility that is reasonable.” We hope these experiences help to give personal rewards that are priceless. In addition, creating camaraderie and memories to last a lifetime. Ultimately, the confidence to overcome any challenge that crosses a path. If you have a desire to put together a trip for persons with disabilities or are looking to join an existing trip that meets your abilities, Arizona Raft Adventures will discuss the possibilities. Give us a call today to begin the conversation. 800-786-7238. AzRA has a strong and altruistic reputation and history of providing safe and educational outdoor adventure opportunities for people from around the world. Most noteworthy, we know them best for their groundbreaking work with persons with disabilities. We are proud to be part of a small group of disability non-profit organizations who provide Grand Canyon rafting access. Like what you see on the AzRA blog? Sign up to receive an email notification when a new article is posted. Email used only for article notifications.